“November is the third consecutive month nonresidential construction experienced job growth, which is positive after seeing losses April through August.”—ABC Chief Economist Anirban Basu. National construction employment expanded by 17,000 jobs in November, according to a Dec. 6 report by the U.S. Department of Labor. 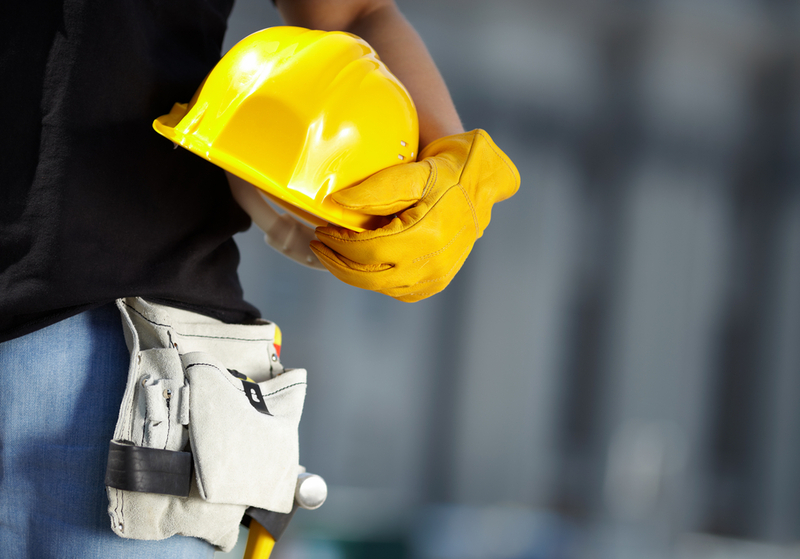 Nonresidential construction added 7,700 positions on a monthly basis, contributing nearly half (45.2 percent) of the overall gain in construction employment. The national construction unemployment rate was 8.6 percent on a non-seasonally adjusted basis, down from 9 percent in October and 12.2 percent one year ago. Across all industries, the nation added 203,000 jobs. The private sector expanded by 196,000 jobs and the public sector gained 7,000 jobs. According to the Bureau of Labor Statistics’ household survey, the national unemployment rate fell to 7 percent in November, down from 7.3 percent in October. This represents the lowest unemployment rate since November 2008. However, this is partially due to a dismal 63 percent labor force participation, which is only a slight rebound from October’s historic low of 62.8 percent. “Despite the increase in November, labor force participation is still down compared to before the government shutdown,” Basu said. “This helps explain one of the economy’s central contradictions: a growing lack of available construction workers in parts of the country in the midst of a soft labor market. 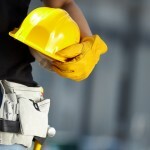 Every construction segment produced additional employment opportunities in November. 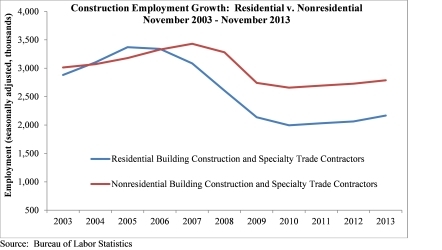 Nonresidential building construction employment rose by 2,300 jobs for the month and is up by 19,900 jobs, or 3 percent, since November 2012. 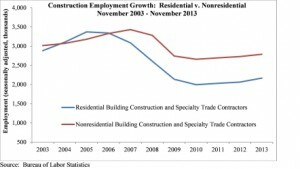 Residential building construction employment grew by 1,300 jobs in November and is up 21,300 jobs, or 3.7 percent, on an annual basis. Nonresidential specialty trade contractors added 5,400 jobs for the month and have gained 39,500 jobs, or 1.9 percent, since the same time last year. 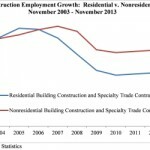 Residential specialty trade contractors gained 7,100 jobs in November and have added 81,200 jobs, or 5.4 percent, since November 2012. Heavy and civil engineering construction added 200 jobs in November and is up by 15,600 jobs, or 1.8 percent, on a year-over-year basis.